If you are a business leader, seeking to take advantage of the opportunities in Asian emerging markets, start with Paul Hype Page & Co. We have an operational office in Singapore, Malaysia, Indonesia and have helped our clients to expand their business in Australia, China, Hong Kong, Myanmar, Singapore, and Vietnam. Our services extend beyond the competitors. Whether you are looking to open a subsidiary, branch, or headquarters, we are prepared to advise you. When you employ our firm, you also employ a Certified Public Accountant and Tax Attorney with big four experience. At Paul Hype Page & Co, we are Singapore professional firms that focus on Asia and Oceania regions. Lot of overseas companies uses Singapore as their regional office to expand to Asia. We can assist in your business expansion or investment in these areas by providing a one-stop service for all the consulting and professional services from planning to execution and yearly compliance issues. Our Services range from International tax planning, Incorporation, Accounting, Legal, Human Resource and running your daily operation . We can assist you in expanding your Business operation to Asia using Singapore as your Asia Regional HQ seamlessly. Click here more information about Singapore Incorporation with Employment Pass. The deposit is fully refunded when you found your local resident director as replacement or approval of your employment pass visa. Below is some information to share with you the differences between a branch or subsidiary or represent office. A branch of the foreign company that operates in Singapore is legally part of the foreign company and is not its own entity. This is an important point since it means that the foreign company’s head office bears the ultimate responsibility for any liabilities arising due to the acts of commission or omission of the Singapore branch office. Normally, Singapore branch office is non tax resident in Singapore and therefore, there is no tax exemption or advantage compared to Singapore company. However, Singapore branch of a foreign company is considered resident in Singapore if the control and management of its business are exercised in Singapore. Such companies will not need to pay taxes twice on foreign-sourced income under the Double Taxation Agreements (DTAs). An incorporated society, association or other body which, under the law of its place of origin, may sue or be sued, or hold property in the name of the secretary or other officer of the body or association duly appointed for that purpose, and which does not have its head office or principal place of business in Singapore. A branch must have at least 2 authorised agents who ordinarily are resident in Singapore. A list of the directors of the head office has to be notified to the ACRA. A branch must have a registered office in Singapore. Advantage of a Branch: It is administratively easier to maintain than a company. In addition, closing a branch is easier than liquidating a company. Disadvantage of a Branch: The liabilities of a branch extend to its head office. A branch having a registered office in Singapore means that its head office (foreign corporation) can be served with legal process in Singapore. Another disadvantage is that the accounts of the head office must be lodged with the ACRA and they are available for public inspection. A Singapore Subsidiary Company is a Private Limited Company incorporated in Singapore whose major shareholder is a foreign company. A Singapore Subsidiary Company can have the full ownership of the foreign company and is considered as a separate legal entity. The subsidiary company doesn’t have any liability to the foreign company as its liability is limited to the share capital it has subscribed. The subsidiary company gets the benefit of several tax exemptions as it is considered as the local company. Further, it will not implicate the head office with legal or financial problem as it is considered as a legal entity. As a subsidiary, it means that there is a corporate shareholder and accordingly to Singapore Company Act, it is required to be audit yearly and will increase the compliance cost. A representative office in Singapore has no legal status, but is merely an administrative arrangement. Generally, the purpose of the representative office is to perform liaison services and establish business contacts, often as a precursor to the commencement of full-scale business activities in Singapore. 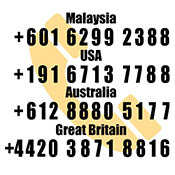 It will cost relatively lesser when setting up a representative office compare to other type of entity in Singapore. As a represantative office, it means that there is a legal status hence it cannot perform any sales activity and go to any contract signing. From a commercial point of view, business parties will deem less willing to work with RO as it is not a legal entity in Singapore. Personal income tax is imposed only on the income sourced within Singapore. The income earned outside Singapore is exempt from taxation.The quantity of income tax liability of an individual depends on individual’s tax residency in Singapore. There is a difference in amount between residents and non-residents. Click here more information about Personal income tax in Singapore. When entering a new market, the opportunity for generating wealth is weighted by the risk of loss. Faced with uncertainty, on the ground knowledge and market experience is essential to make informed decisions. 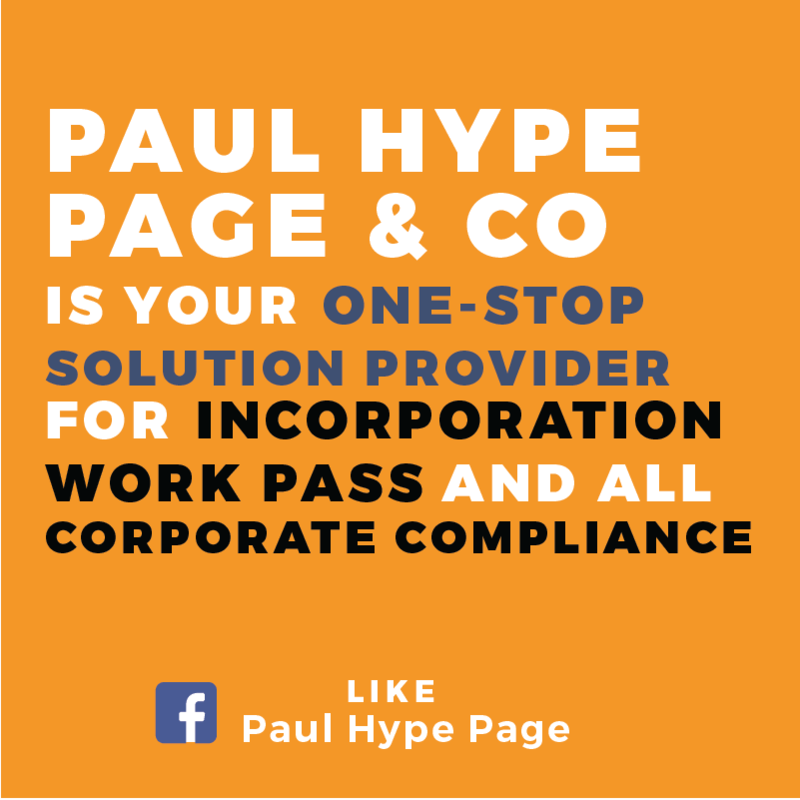 Paul Hype Page & Co. provides added value beyond our competitors. We employ Certified Public Accountants and Tax Attorneys to assist you in the next stage of your growing business. At Paul Hype Page, you don’t pay us by the hour. You gain from the value in that hour. Hello, this is Dong Jin Kim from South Korea. I am a CEO of company name Eastend, and we are Fashion E-commerce company. I started this company about two and half years ago, got 3 million dollars funding in Korea, and have total revenue about million dollars up to total. I want to expand my business to East Asia market, by relocating our company to Singapore, or want to make 100% subsidiary at Singapore. Second reason is to go Indonesia, Malaysia, Vietnam and Singapore market with Fashion brands. We have 6 different fashion brands and we manufacture from Vietnam, China, and Korea. I am a serial entrepreneur and this is my 3rd company, I have exited once, and I have failed once, and this is my last journey as I hope. I am a fast mover who when decide things to do, I move the action right on to it. I will wait for your respond and advise. I hope we can be a long time good partner for Singapore and East Asia market. I believe in the following quote. I will wait for your respond. Singapore is the best place to expand your business, with good international tax planning and the right company setup, you should go far. Our corporate specialist will drop you an email with more information and you can take it from there.